Senators Elizabeth Warren (D-MA) and John Kennedy (R-LA): Can these two lead a bipartisan effort for student-loan reform? 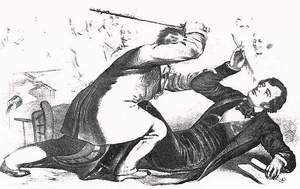 Congress is more divided along partisan lines than any time since Representative Preston Brooks caned Senator Charles Sumner on the floor of the Senate back in 1856. No major legislation gets passed with bipartisan support, and Republicans and Democrats seem content to be obstructionists rather than try to do something useful. Is there no public issue on which Republicans and Democrats can agree? I think there is. More than 40 million Americans have outstanding student loans, and at least 20 million can't pay them back. Last year, 1.1 million college borrowers defaulted on their loans--that's an average rate of 3,000 people a day. People who borrowed to attend for-profit colleges have suffered the most. Nearly half of these hapless souls default within five years of beginning repayment. Among African Americans, the pain is even worse. Three fourths of African Americans who took out student loans to attend for-profit schools eventually default. Big problems require big solutions. As I have said before, the student loan crisis will not abate until for-profit colleges are kicked out of the federal student-loan program and distressed student debtors are allowed to discharge their student loans in bankruptcy. But these two fixes are politically impossible right now. Congress could pass a law barring the federal government from garnishing Social Security checks of elderly student-loan defaulters. Senators Elizabeth Warren and Claire McCaskill introduced a bill along these lines but it has gotten nowhere. 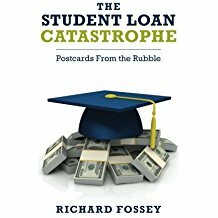 All student loans should be refinanced at current, low interest rates, something Hillary Clinton endorsed during the 2016 presidential campaign. Our tax code needs to be amended to make clear that people who complete income-based repayment programs are not taxed when the remaining balance on their loans is forgiven. Representatives Mark Pocan and Frederica Wilson (both Democrats) introduced a bill to accomplish this reform but it has not become law. Who in Congress--Republican or Democrat--could disagree with these reforms? Even our most Neanderthal representatives could not look their constituents in the eye if they voted against any of these proposals. If this is so, how can Congress kick-start bipartisan student-loan relief? Here is a feasible scenario: Senator John Kennedy, a Republican from Louisiana, could contact Senators Warren and McCaskill and offer to co-sponsor their bill to stop the government from garnishing Social Security checks of elderly student-loan defaulters. Why do I nominate Senator Kennedy for this bipartisan overture? Because Kennedy has shown a commendable reluctance to follow the Republican party line on important policy issues. For example, he was one of only two Senate Republicans to vote against a law that allows financial institutions to force their customers to sign mandatory arbitration agreements. If Senator Kennedy were to come on board for the Warren-McCaskill bill, other Republican Senators might also signal their support. Once this bill received some publicity, I predict the Warren-McCaskill-Kennedy bill would be adopted into law without a single dissenting vote in either the House or the Senate. After this small victory, Republicans and Democrats could join together to provide further relief to suffering college borrowers: lowering interest rates on current student loans, imposing restraints on the government's rapacious debt collectors, revising the tax laws so that participants in income-driven repayment plans aren't taxed on forgiven loan balances. All these reforms are feasible; indeed they might all pass through Congress with little or no opposition. Some broad-minded legislator just needs to reach across the aisle to get the ball rolling. Senator Kennedy, please make that call to Senator Warren and assure her you will support the Warren-McCaskill bill. Danielle Douglas-Gabriel. The disturbing trend of people losing Social Security benefits to student debt. Washington Post, December 20, 2016. James Gill. John Kennedy is quickly becoming 'Senator No' when facing Donald Trump. Baton Rouge Advocate, December 3, 2017. Anne Gearan and Abby Phillip. Clinton to propose 3-month hiatus for repayment of student loans. Washington Post, July 5, 2016. Melanie Lockert. Surprise! Here's When You'll Owe Taxes on Student Loan Forgiveness (and When You Won't). studentloanhero.com (blog), February 27, 2017.